The Foundation for Spiritual Science & Healing is a human spiritual organization which serves people, and not a religion requiring a belief system. We know that God will grant you Peace and Healing while in our midst. May the Foundation be your spiritual home. We hope to get to know you and that you will be comfortable. May the path that brought you our way also light the way for others. Your Light makes your journey a safe one. We are all travelers. From “birth ‘til death” and “death ‘til birth” we travel between the eternities. May your journey bring you Wisdom, expanding Peace and Prosperity within society, and Healing to those you meet. Let your thoughts and dreams unfold the Realities of the Divine. Turn your thoughts & dreams towards the unfolding realities of the divine. FSSH Looks into the scientific & spiritual sides of the universe through our metaphysics classes. 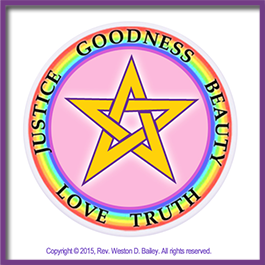 Find peace & healing through LIGHT COLOR ENERGY HEALING™. 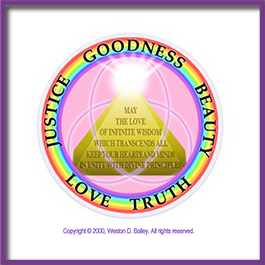 Walking in the light of truth helps you break free from the past & forge a bright future. Embark upon a study that is the most exciting adventure anyone can undertake –understanding yourself, your experiences, and your relationship to the environment and cosmic scene in which you find yourself. As a center for learning and healing, the Foundation for Spiritual Science & Healing invites you to a world of alternatives. Founder and parapsychology consultant Rev. 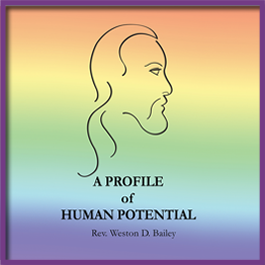 Weston D. Bailey investigates metaphysical subjects and spiritual healing in all forms, shades, and colors. Alternative healing can encompass the physical, emotional, mental, and spiritual. Recognizing the need to bridge the gap between science and the spiritual (or mystical), we hope to create a place where both can be viewed as valuable and necessary. This is a place where beliefs and faith may be grounded in scientific reality and where spiritual integrity is paramount. You will find no dogma here. The ministry is one of spiritual healing, education and spiritual awakening, not conversion to a belief system. Using a common sense approach to the many perplexing subjects confronting our culture in the areas of parapsychology, religion and metaphysics, we are dedicated to exploring all avenues of human potential and spiritual development through research, networking and personal experience. 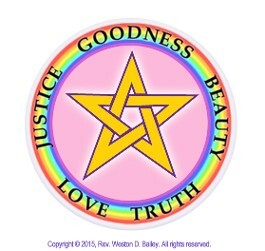 It is our desire to reach out to the world at large to create a link with emissaries of Light, those who are demonstrating honesty and integrity in a conscious effort to manifest love and light in our world. We endeavor to unleash the transformative energy of education and healing to every soul in need of nourishment. If you are in need of a spiritual “nudge” we hope you will find it here! and noblest incitement to scientific research." "Believe nothing which is unreasonable; and reject nothing as unreasonable, without proper examination." "These things I do, ye shall do, and even greater things."